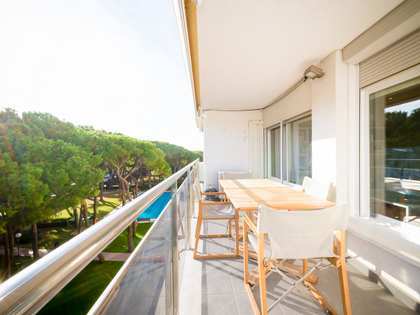 Located on the ground floor of a modern building, the apartment benefits from its own garden and terrace, which totals about 70m². 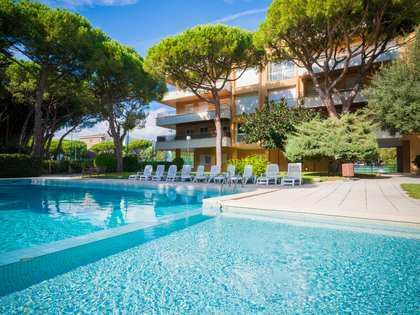 This private garden area has direct access to the 2000m² landscaped, communal gardens which comes complete with 2 swimming pools and a children's playground. 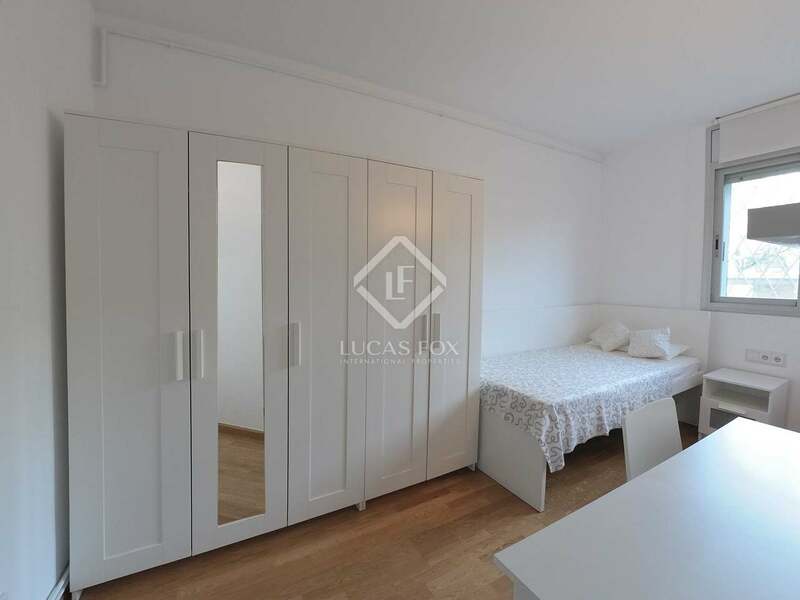 The apartment also has its own 8m² storage room and parking space. 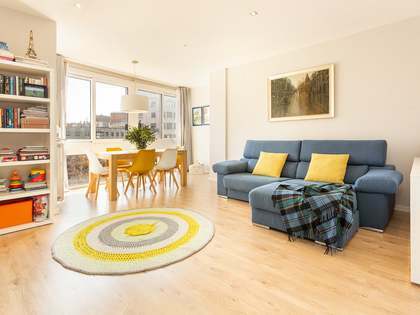 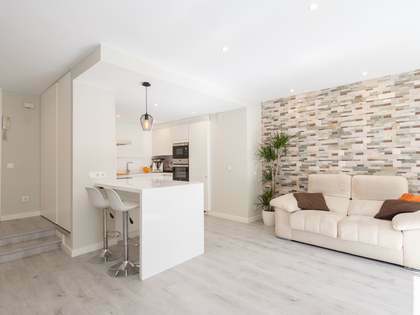 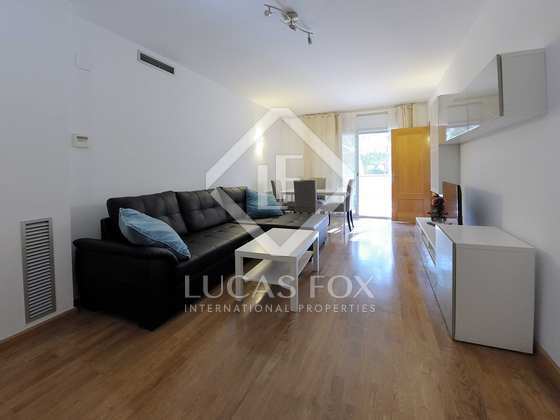 On entering the property you find yourself in the large entrance hall, with a built in wardrobe, that leads to the living-dining room and separates the day and night areas of the apartment. 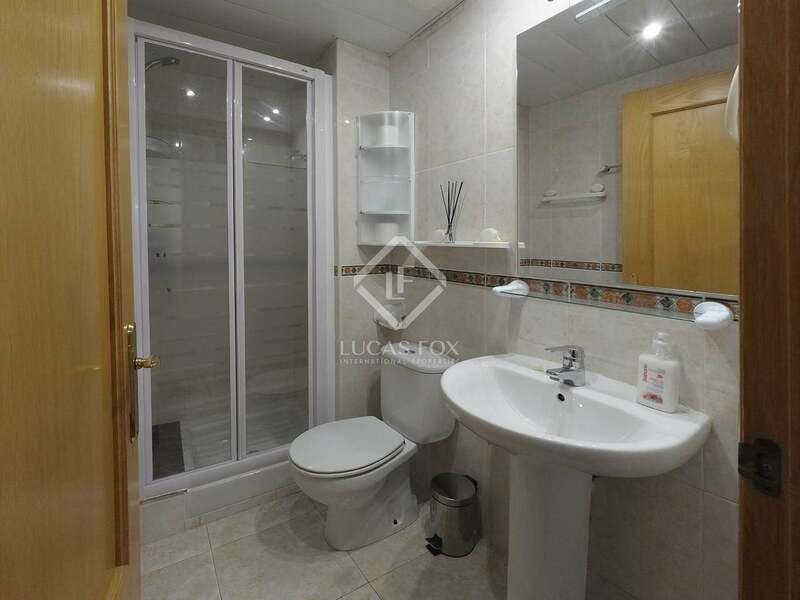 To the left, is the corridor from which you can access the 4 bedrooms (1 is an en-suite), and a shared bathroom. 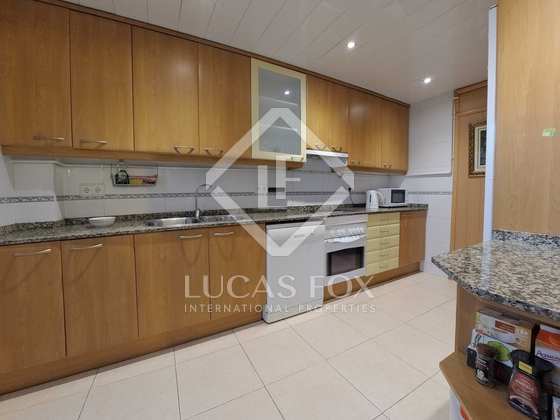 To the right of the entrance hall, we find the kitchen with a breakfast bar and gallery. 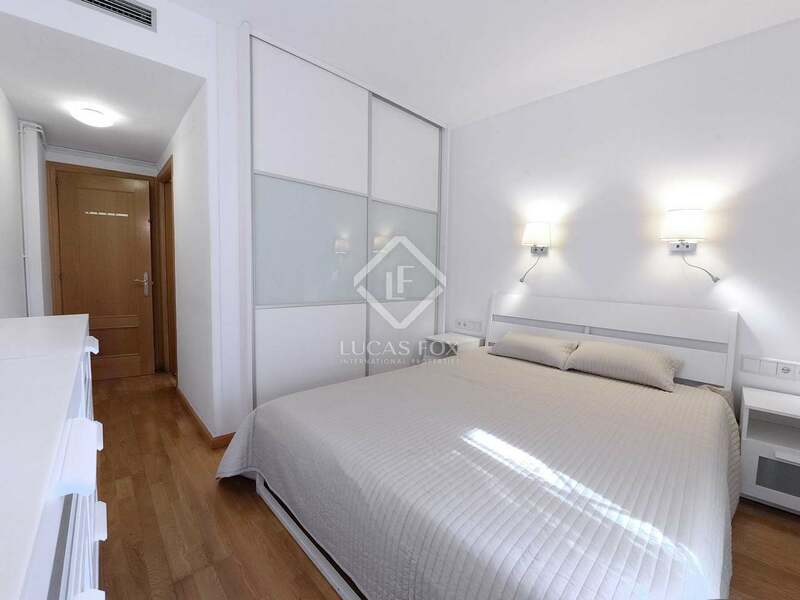 Both the living room and main bedroom have large glass doors with access onto the terrace. 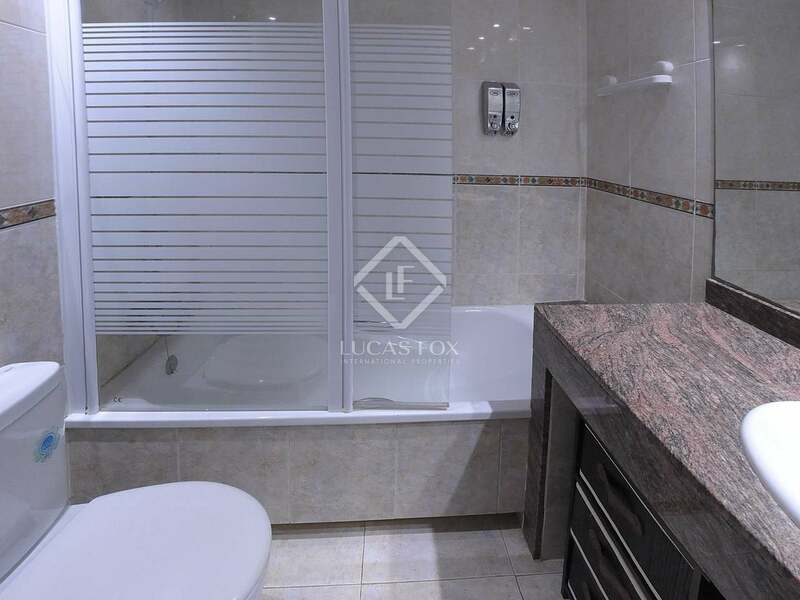 The apartment comes equipped with heating and air conditioning. 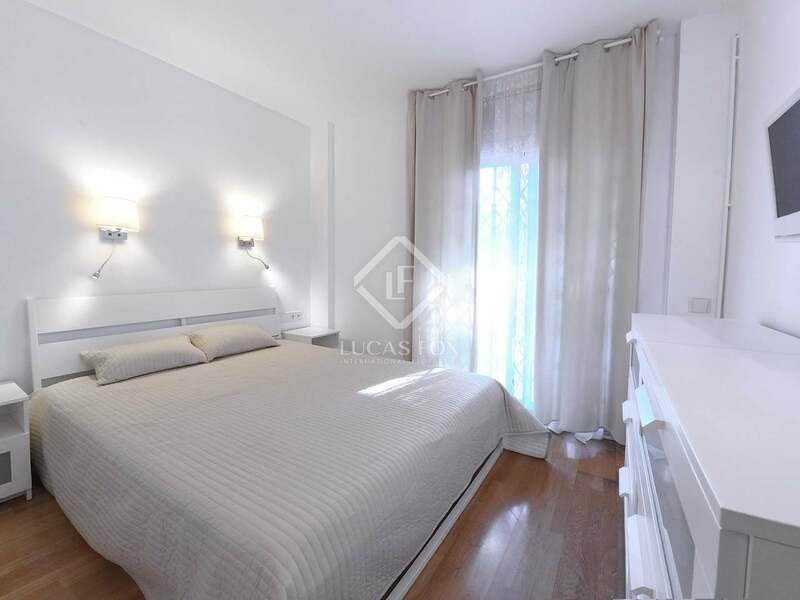 The house is in good condition and the new owner could merge 2 of the bedrooms to make another large double room if they so wished. 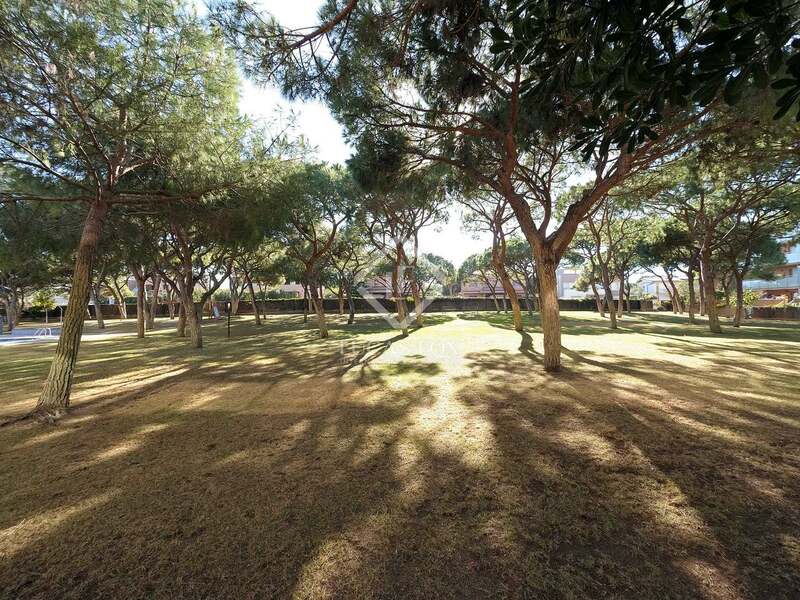 A lovely property in a great location that is not to be missed. 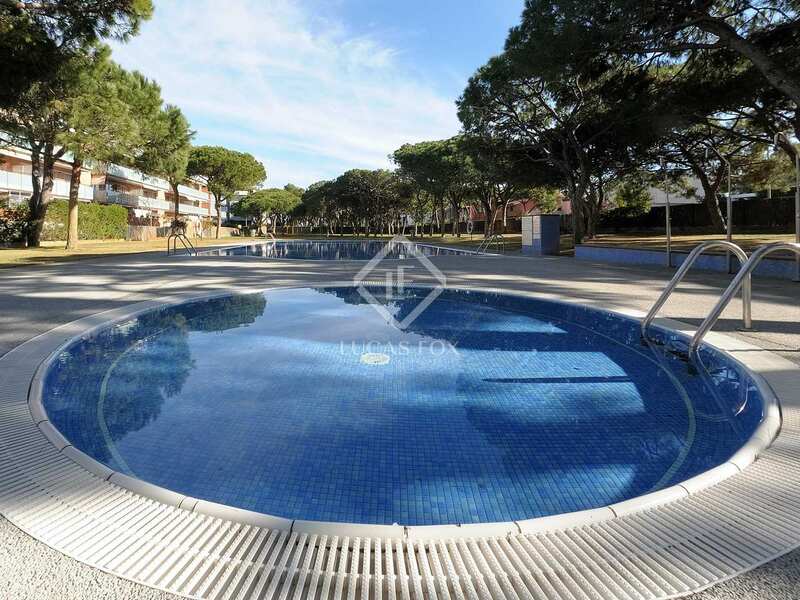 It would be great for families, second homers or retirees who want somewhere to live that is very close to the beach. 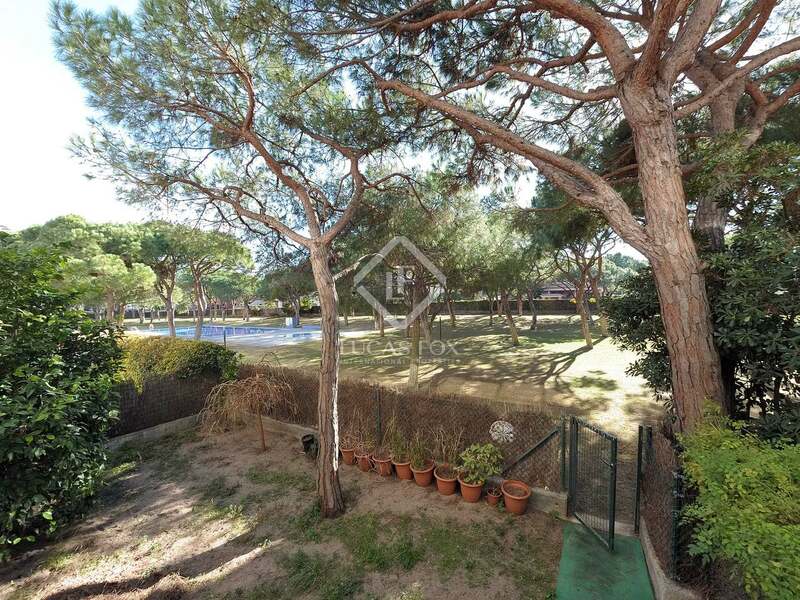 2,000m² shared garden with 2 swimming pools and a children's playground. 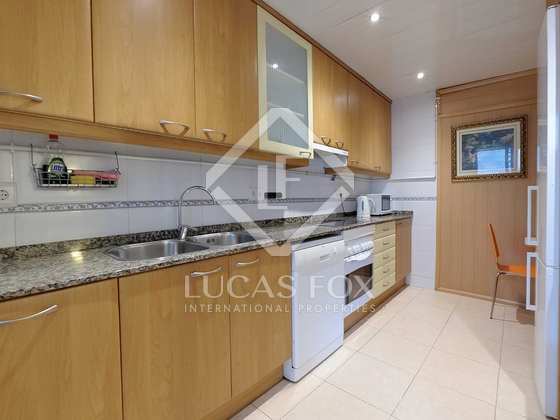 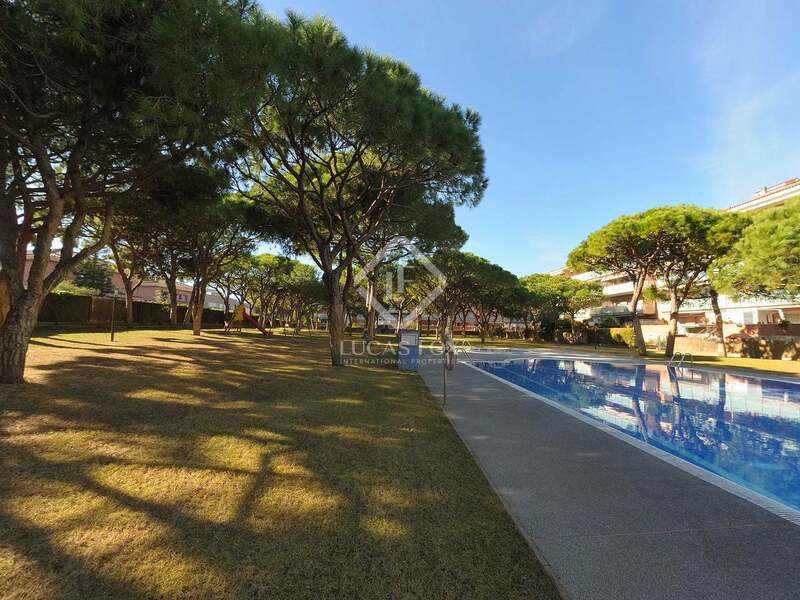 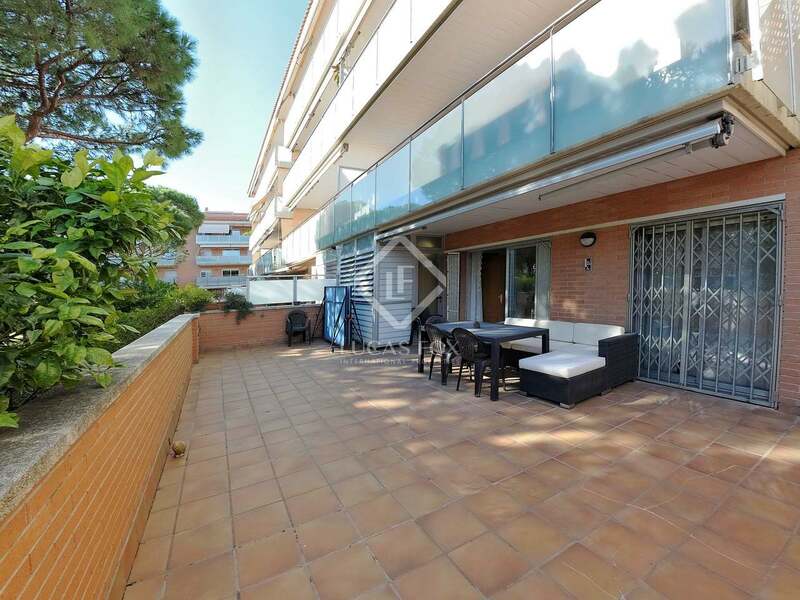 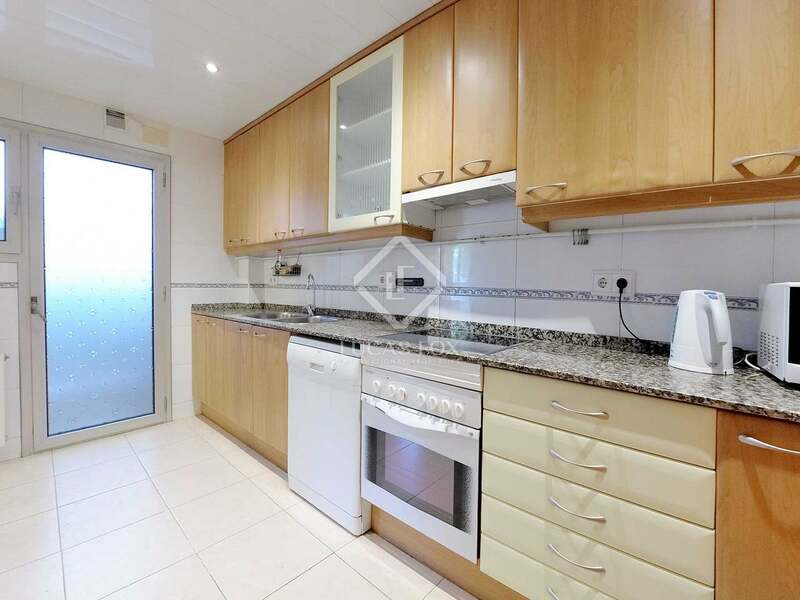 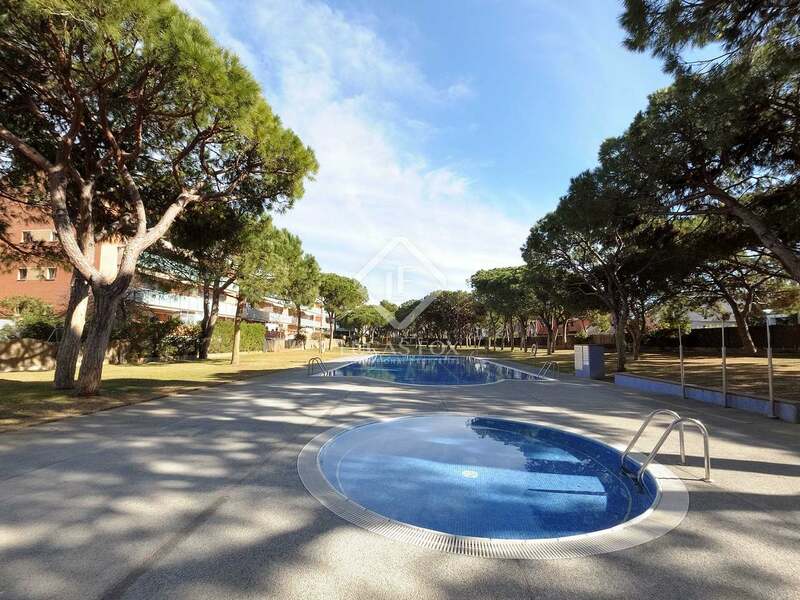 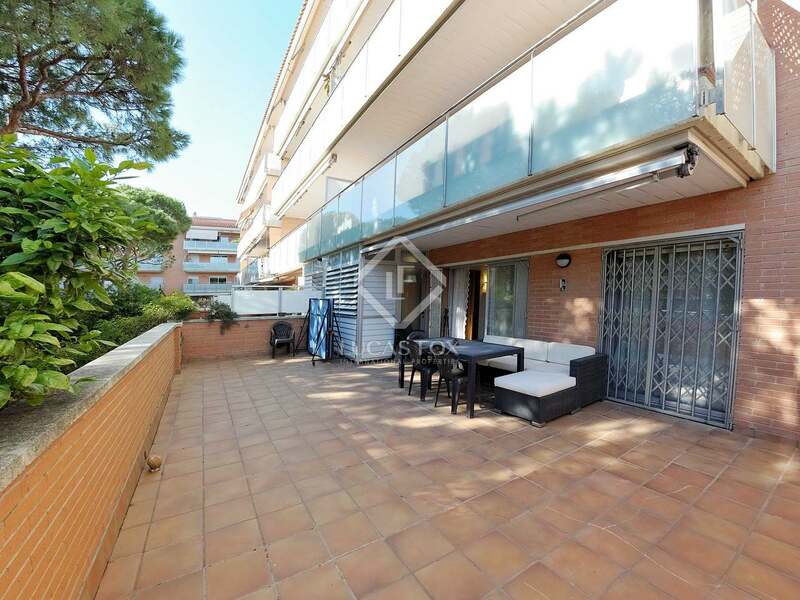 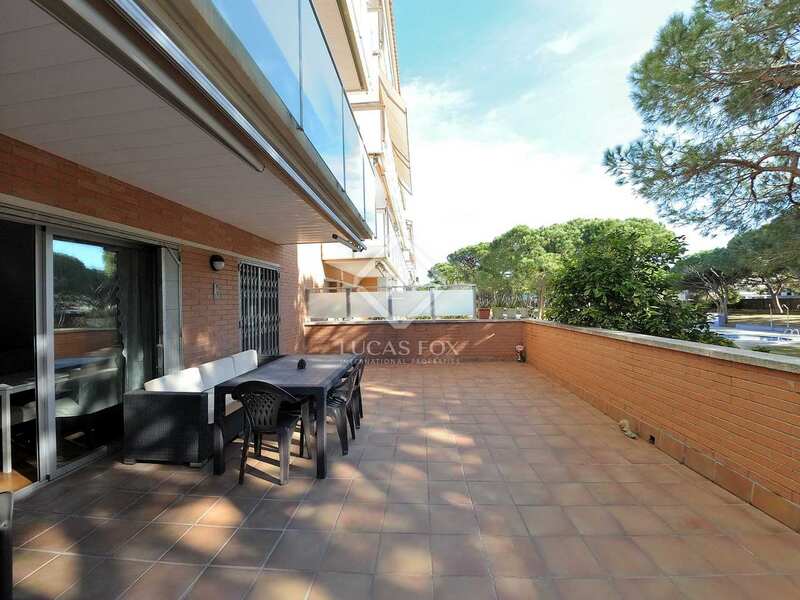 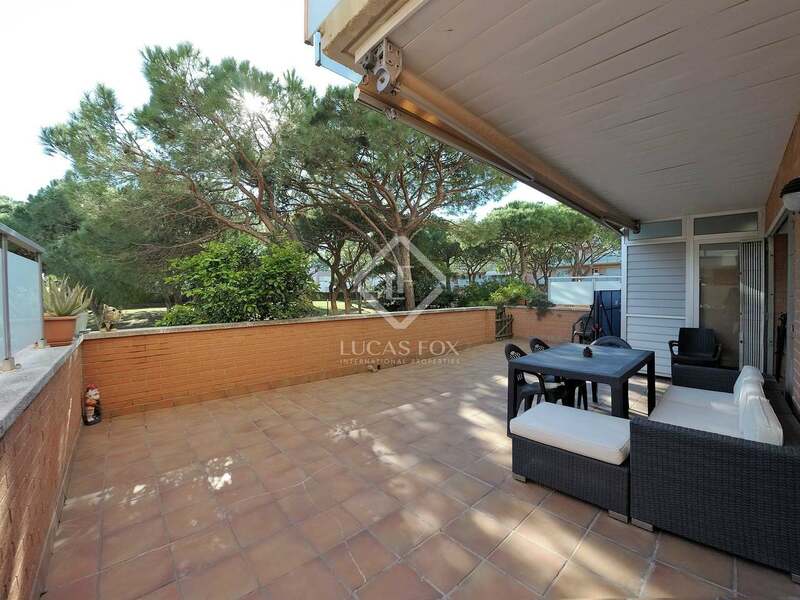 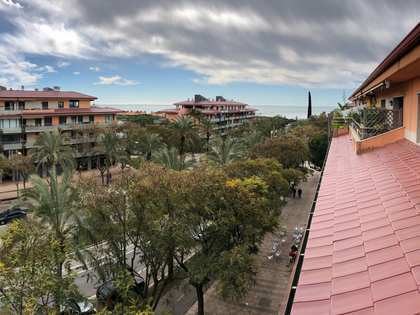 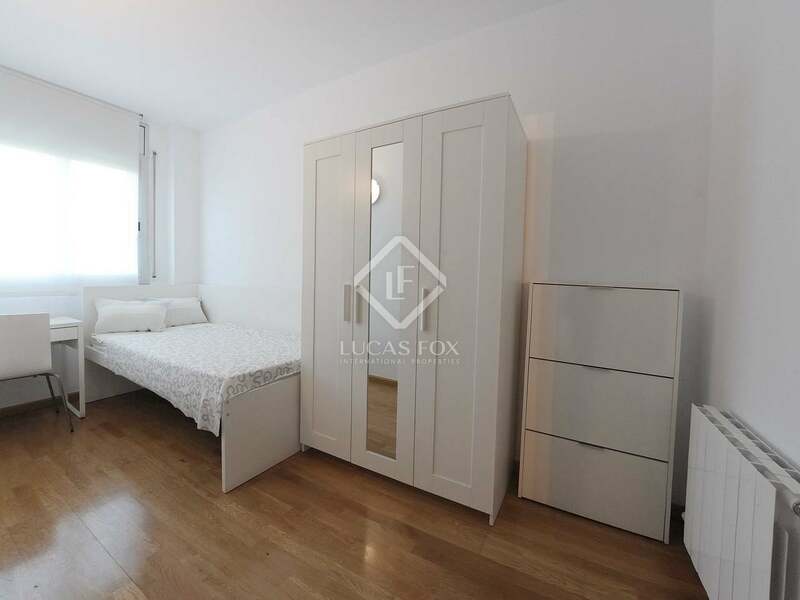 This fantastic property can be found only 300 metres from the beach, in a residential area just a short walk from everything you might need from restaurants and supermarkets to parks and international schools. 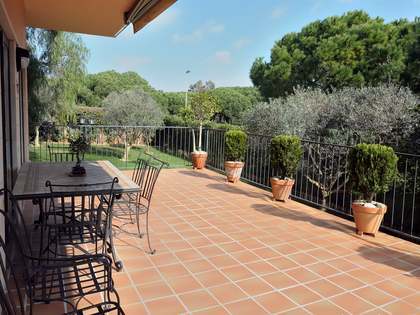 It is very easy to get to with plenty of public transport near-by and being just a 10 minute drive from the airport.